Why would working out now help towards when you retire? April is WorkFit Wellness Month, where we shout about all the benefits of our discounted WorkFit membership! Taking advantage of this and getting fit now will mean you can reap the rewards in later life! There are so many reasons to get fit so you can enjoy retirement so much more! Here are some great ideas for what to look forward to. · Think of all those adventurous holidays you will be able to go on and escape reality! · So many opportunities such as volunteering in your spare time will feel more enjoyable. 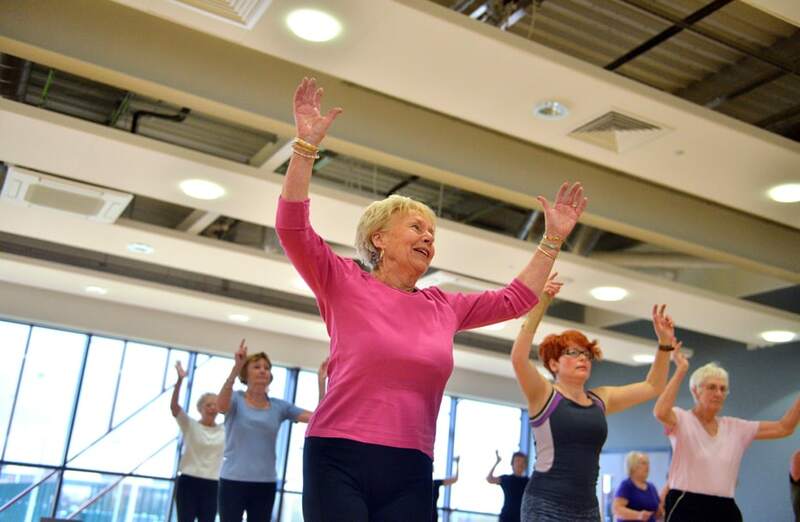 · Joining clubs such as dance, walking and sailing will help you meet new people or get out and about. · Taking up sports you haven’t tried before will also allow you to meet new people and keep fit! · Spending time with your grandchildren – taking them out to adventure parks! · Gardening and other household jobs will feel so much easier! With so many classes we are sure one will be the perfect fit for you! A few classes are; Pilates, Zumba, Yoga, Yogalates and if you enjoy Zumba why not give Aqua Zumba a try? Bring along friends and family to enjoy a class together! With our WorkFit membership, family members that live with you can also get a discount off the Premier membership! Working out becomes easier as you can enjoy a class together! You’re not on your own on this journey, so enjoy the benefits of the WorkFit membership. Struggling to get your workmates involved? Get in touch with us and we can arrange a free Wellbeing Day where we’ll pop out and shout about the benefits of a healthy working lifestyle. If you’re not retired yet, your company may be entitled to our WorkFit membership, including a discount on the Premier membership. Why not join and avoid missing out on this deal! Joining a new gym now means you’ll feel the benefits sooner and can reap the rewards later in life. Grab an annual membership and get 2 months free! Nearing retirement means you also have options from our concessionary memberships such as the Premier, the Off-Peak, Standard and Swim Only memberships. For those aged over 75, we have an Off-Peak membership for just £9! Find out everything about our memberships here. Sign up to receive special offers, news, tips and motivation.